Other photos: Manufacturer Provided Image, Manufacturer Provided Image, Manufacturer Provided Image: Princess 72 Motor Yacht, Manufacturer Provided Image, 2011 Princess 72, 2011 Princess 72, 2011 Princess 72, 2011 Princess 72, 2011 Princess 72, 2011 Princess 72, 2011 Princess 72, 2011 Princess 72, 2011 Princess 72, 2011 Princess 72, 2011 Princess 72, 2011 Princess 72, 2011 Princess 72, 2011 Princess 72, 2011 Princess 72, 2011 Princess 72, 2011 Princess 72, 2011 Princess 72, 2011 Princess 72, 2011 Princess 72, 2011 Princess 72, 2011 Princess 72, 2011 Princess 72, 2011 Princess 72, 2011 Princess 72, Manufacturer Provided Image, Manufacturer Provided Image, Manufacturer Provided Image, Manufacturer Provided Image, Manufacturer Provided Image, Manufacturer Provided Image, Manufacturer Provided Image. This Princess 72 Motor is an exciting flybridge Sports Cruiser which was penned by Bernard Olesinski. Zero Speed Stabilizers and powerful caterpillar marine engines this Princess 72 provides comfort and joy even in messy seas. There is a spacious flybridge and a seating area designed on the bow with built in table and seating for forward entertaining. 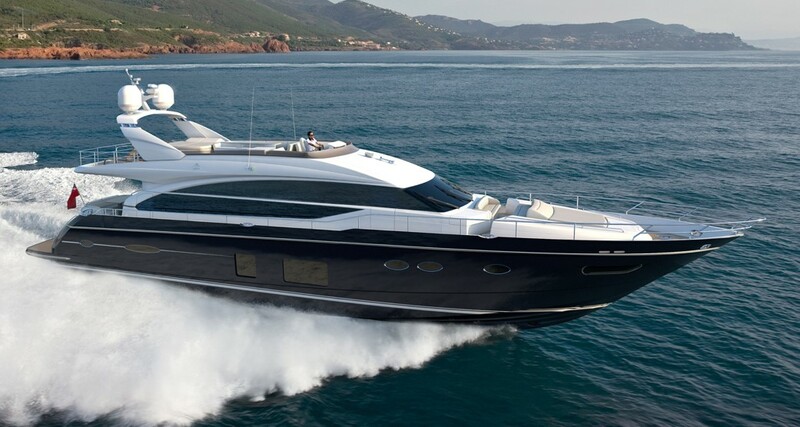 The Princess 72 can accommodate 8 guests in 4 cabins and includes 3 cabins with double beds and ensuite bathrooms. The crew waters are located in a separate area at the stern with a separate bathroom. The drive, navigation and electric systems were tested by Marlin Marine Services in a Sea Trial on the 26th November and were found to be in good working order. SYS Yacht Sales is pleased to assist you in the purchase of this vessel. This boat is centrally listed by Marlin Marine Services.